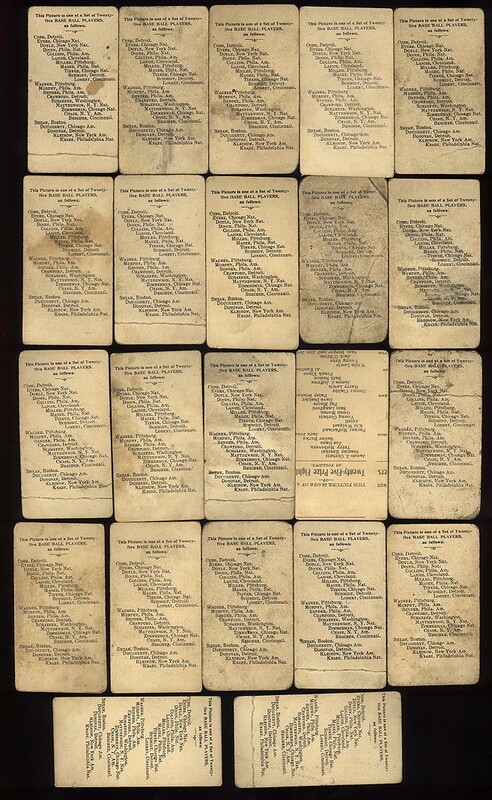 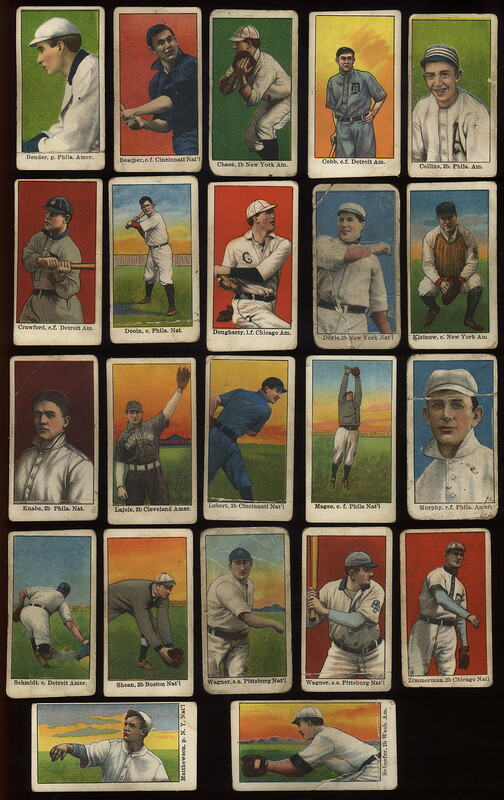 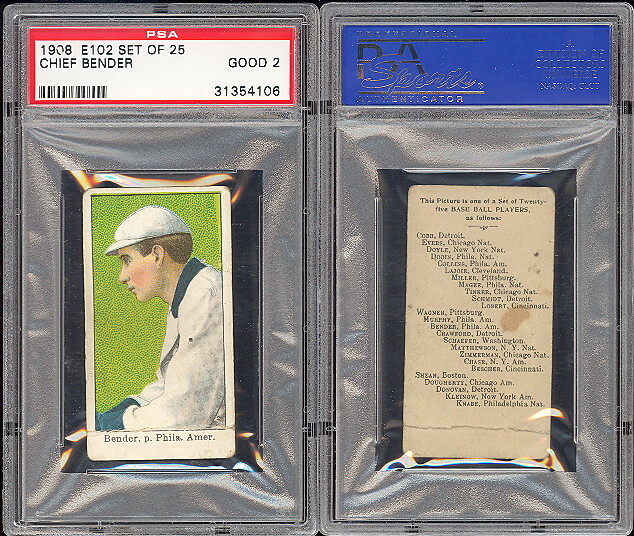 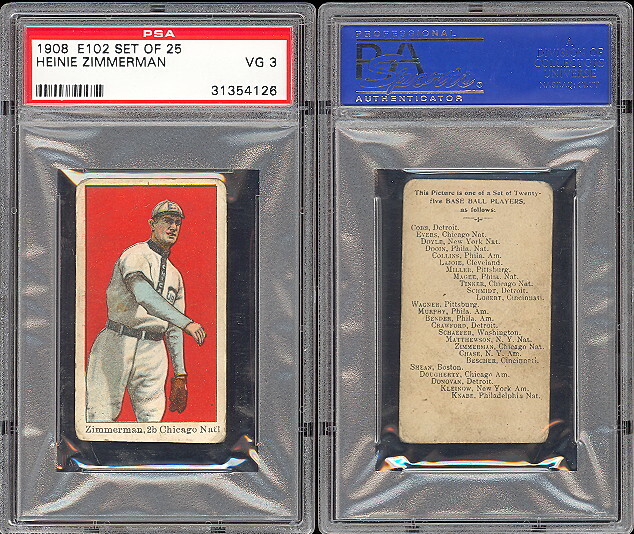 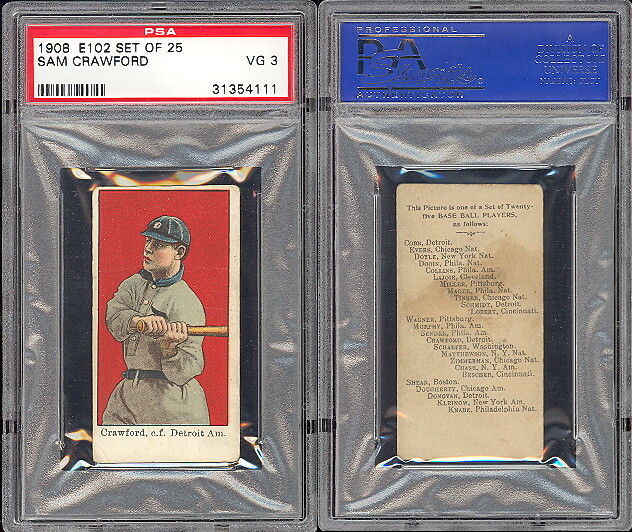 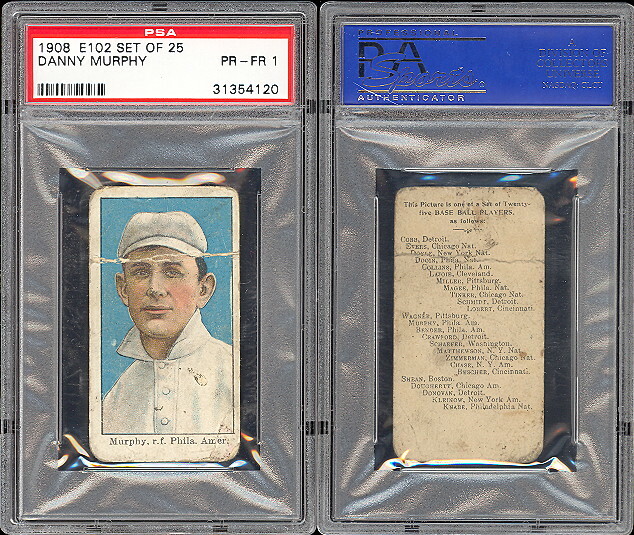 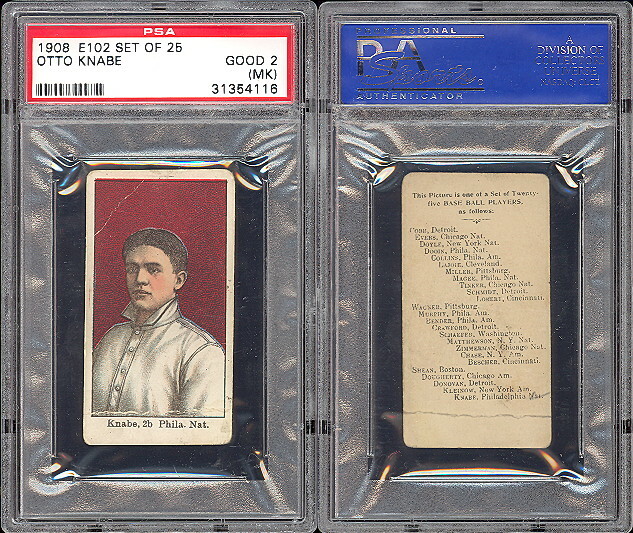 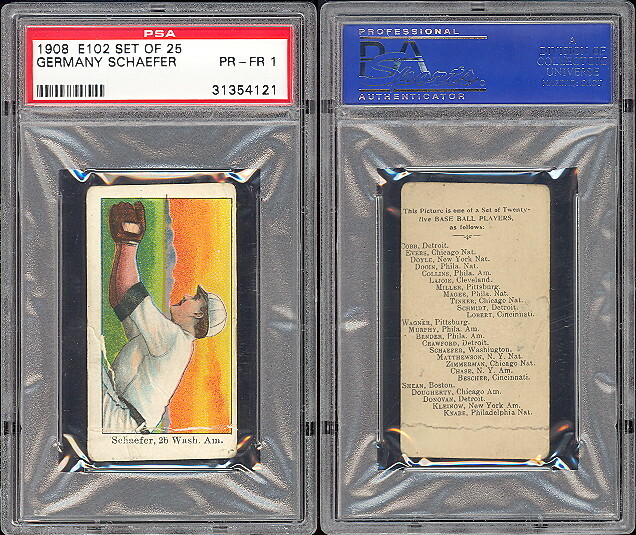 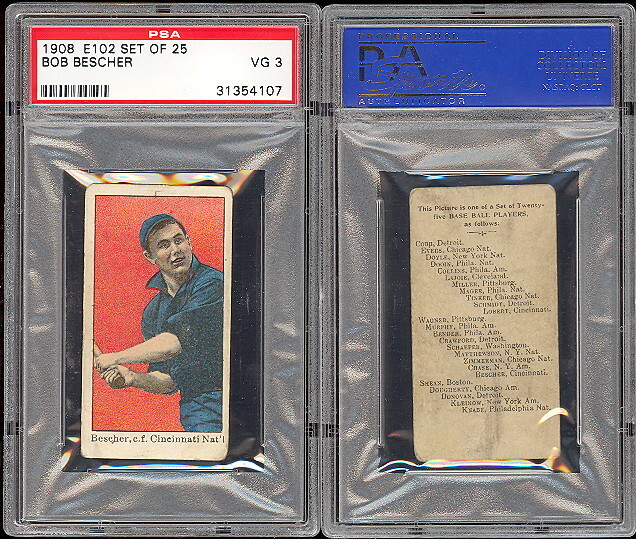 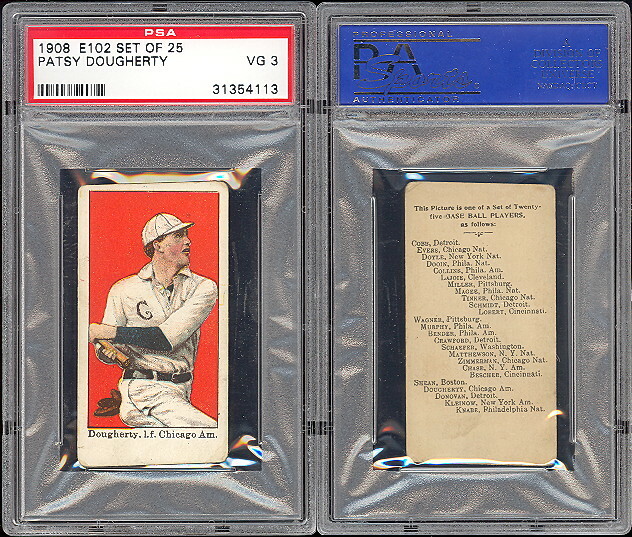 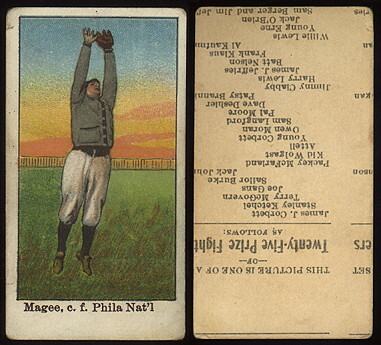 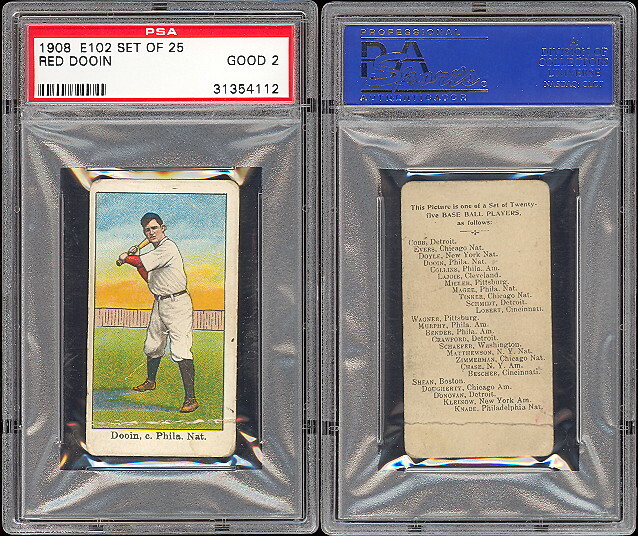 psa 4 DAVE'S VINTAGE BASEBALL CARDS PRESENTS 1909 E102 Anonymous Caramel Cards. 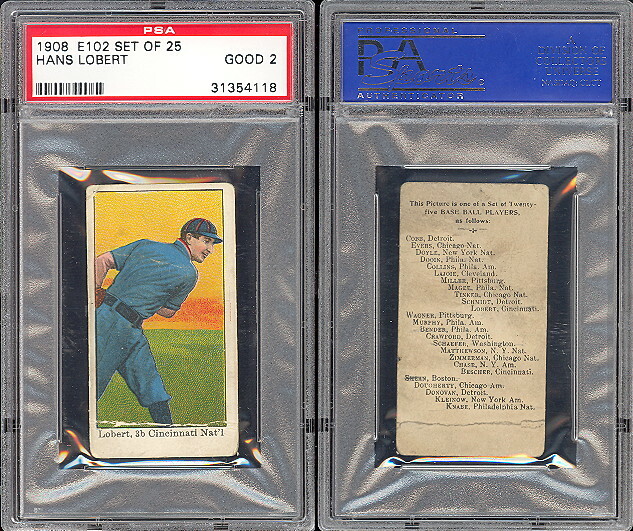 This set is almost identical to the E101 set which is closely related to the E92 set, there is no advertising on the back just a checklist. 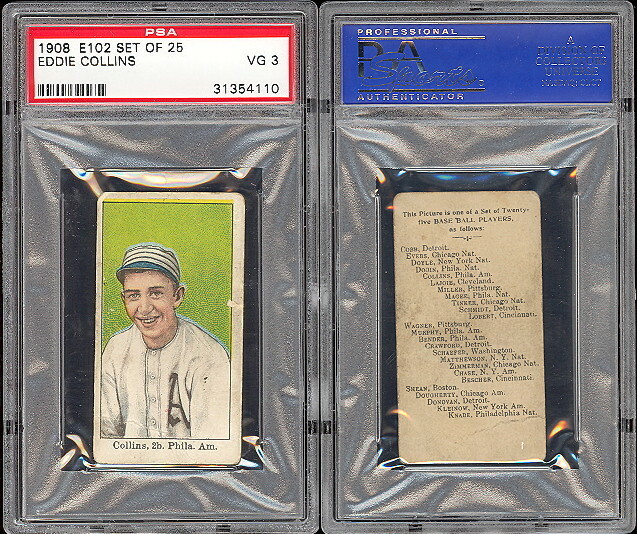 GRADES AND PRICES ARE LISTED BELOW.